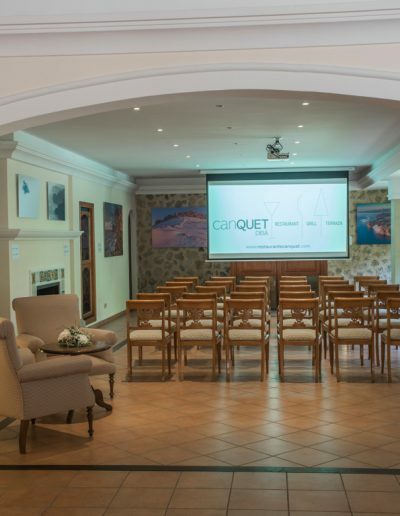 Can Quet Restaurant will surprise you with an attractive and rich culinary offer. 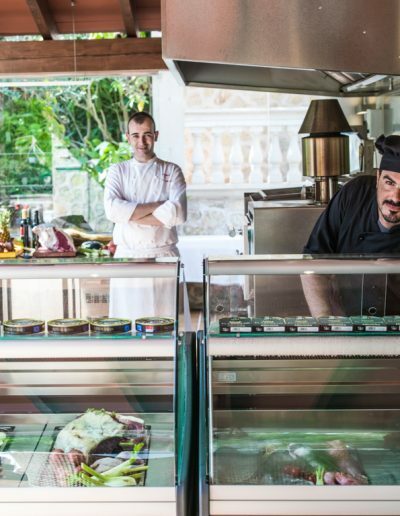 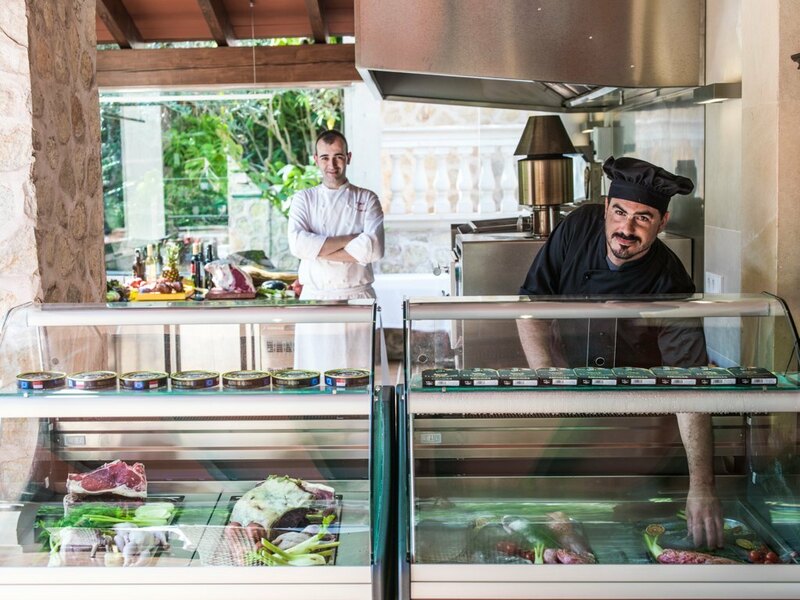 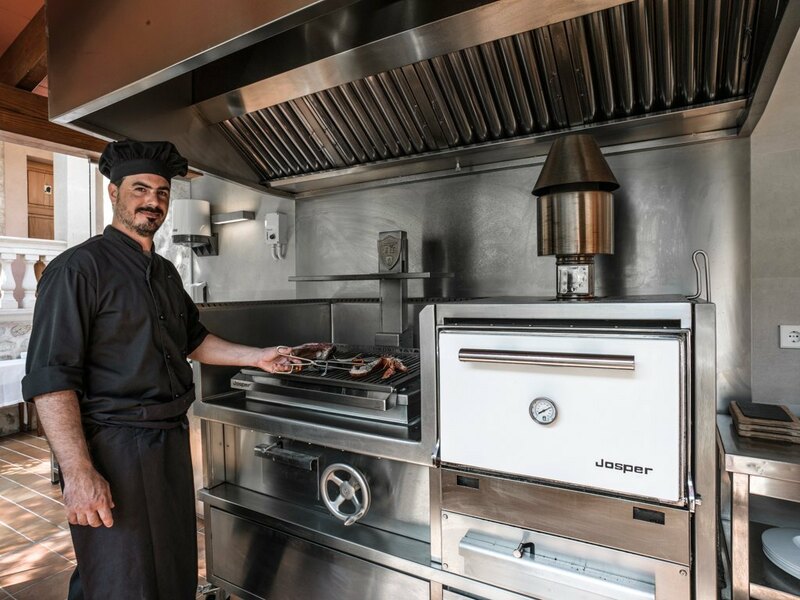 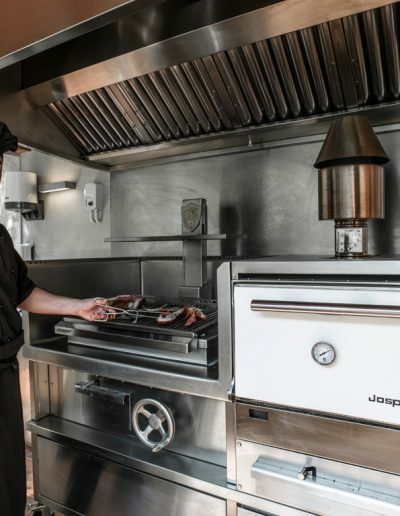 Come enjoy excellent grilled meats as well as fresh fish, rice dishes, starters and grilled vegetables, all carefully prepared in our Josper oven and grill. 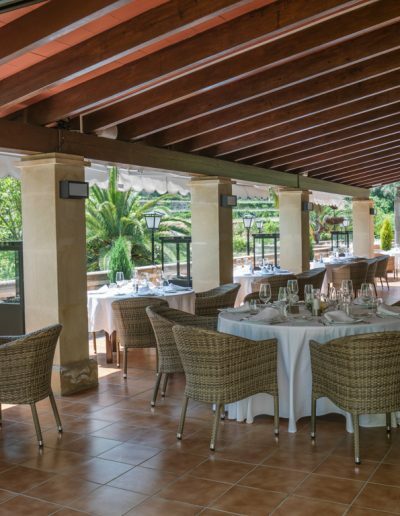 The wine list offers an eclectic selection from the best vineyards. 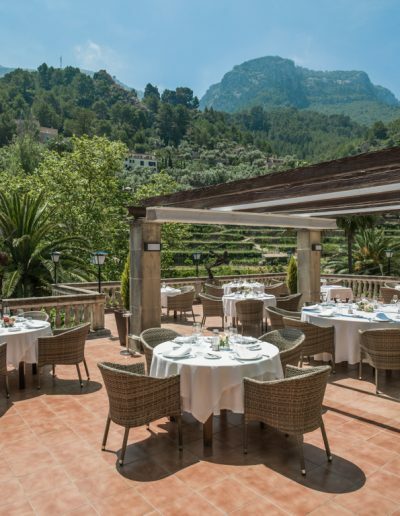 To enjoy the dinner and the summer, our terraces with stunning views are the perfect scenery for a romantic dinner or a get-together with friends. 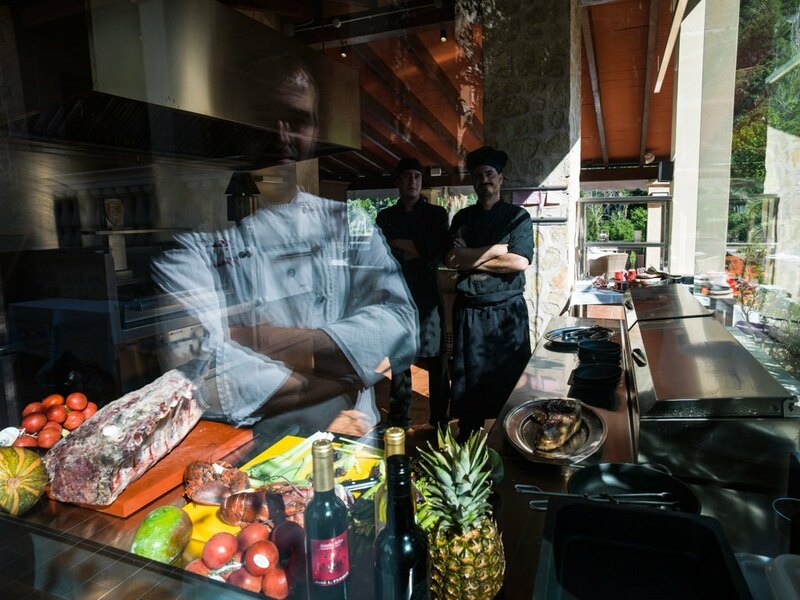 Our challenge is to share every day the passion for what we are doing. 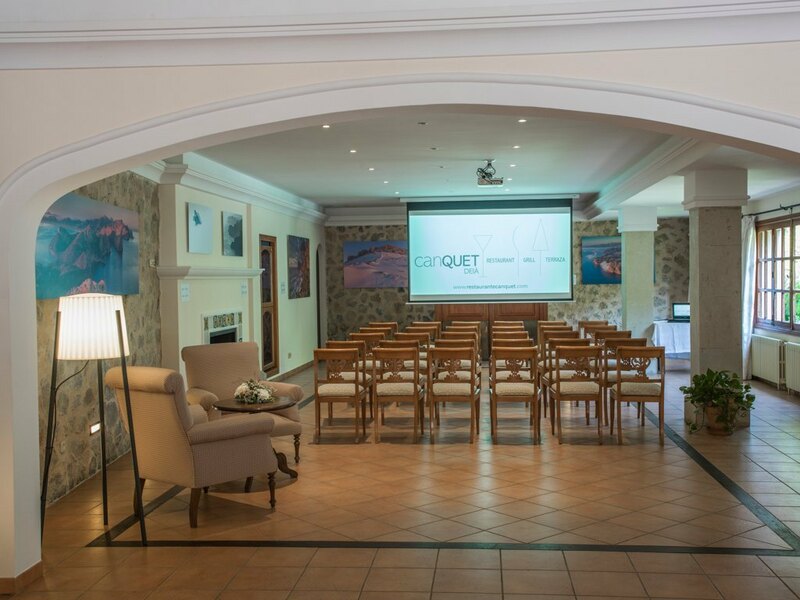 Can Quet Restaurant is a special place, perfect for accommodating all types of events: family celebrations, weddings, and corporate events for groups and companies. 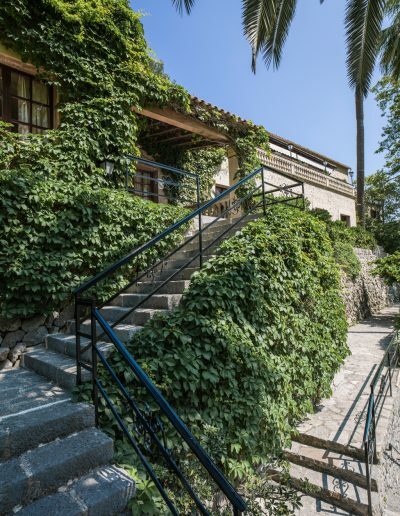 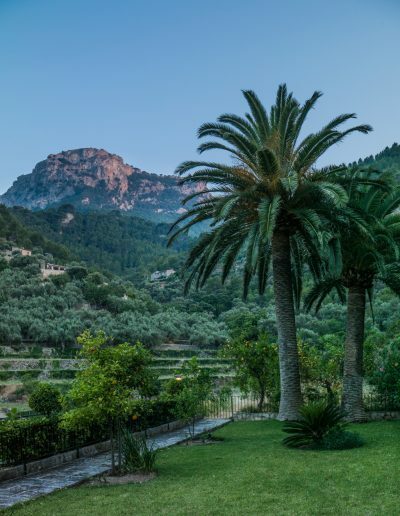 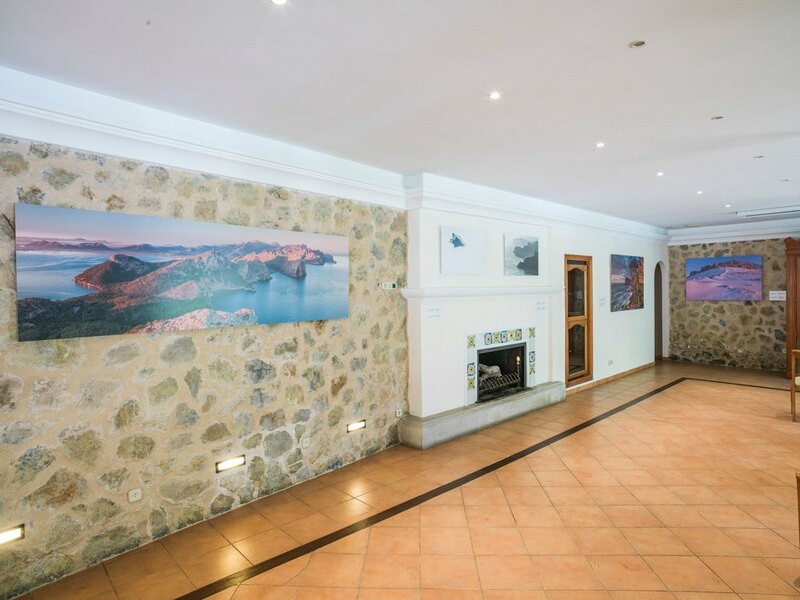 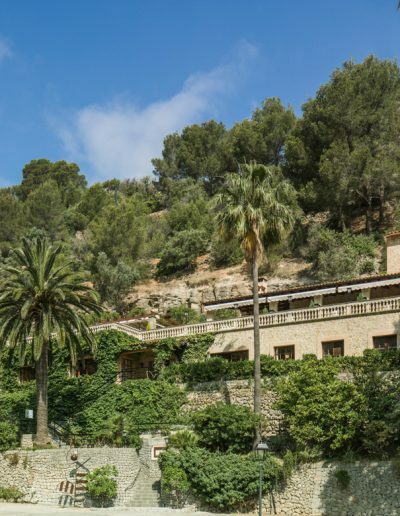 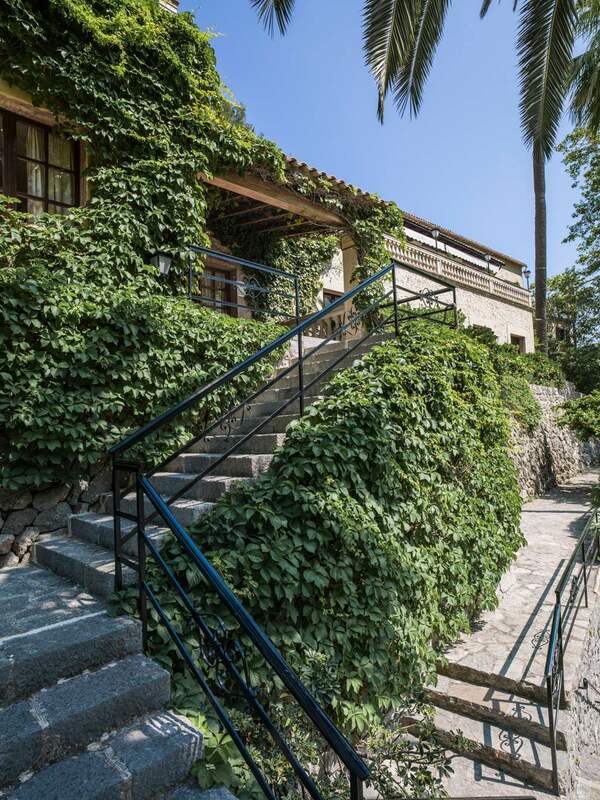 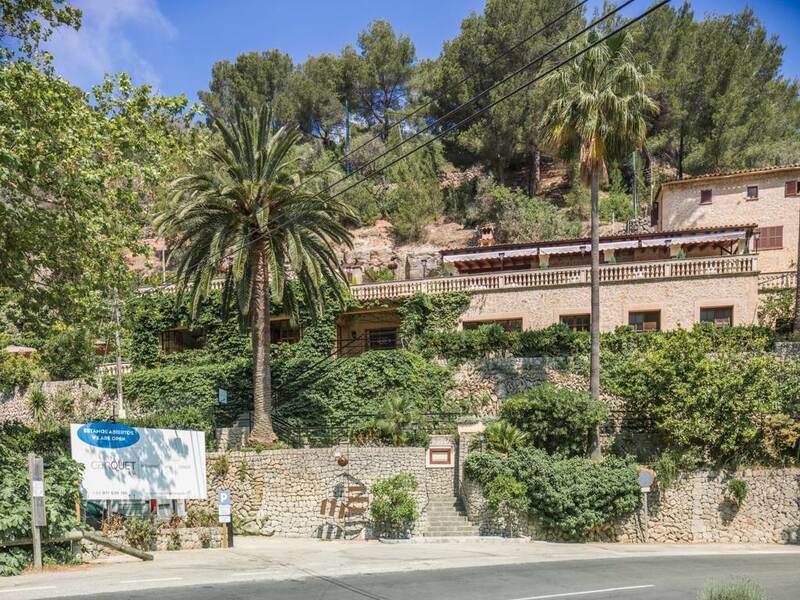 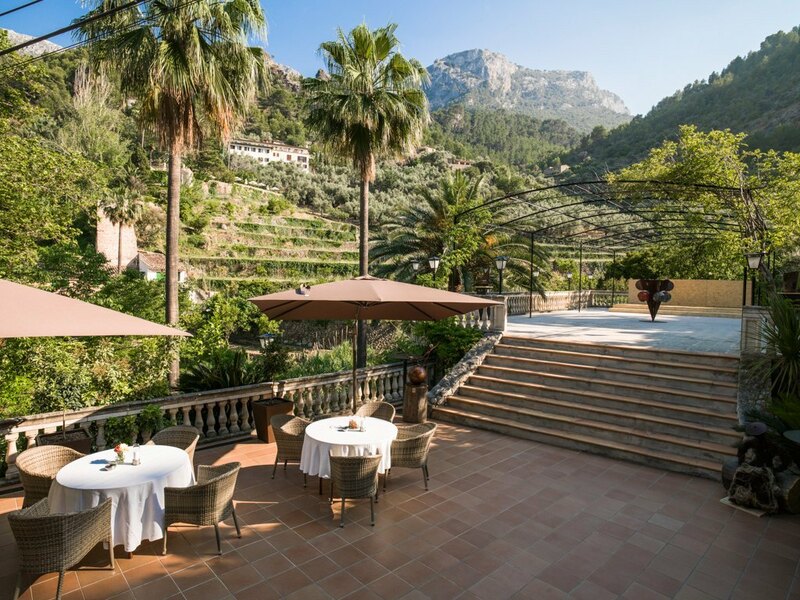 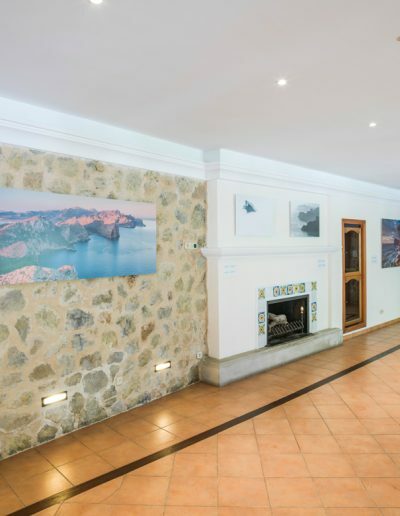 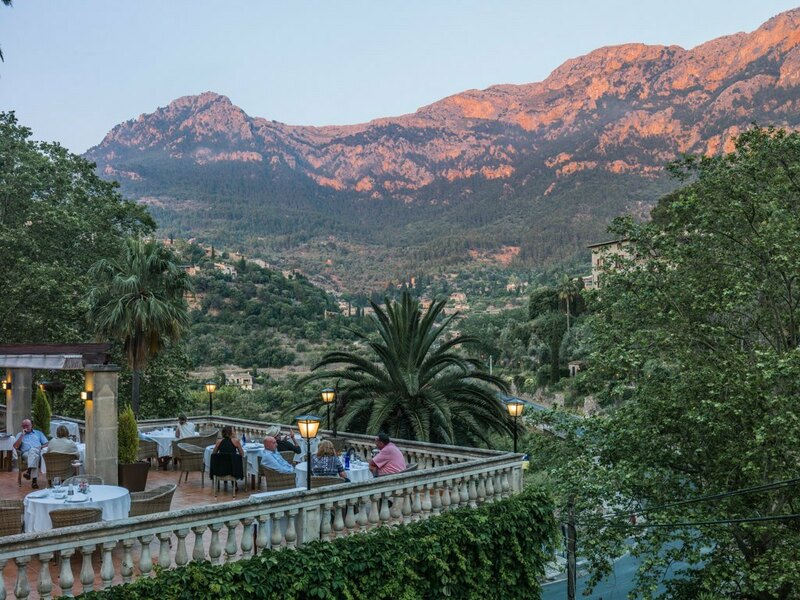 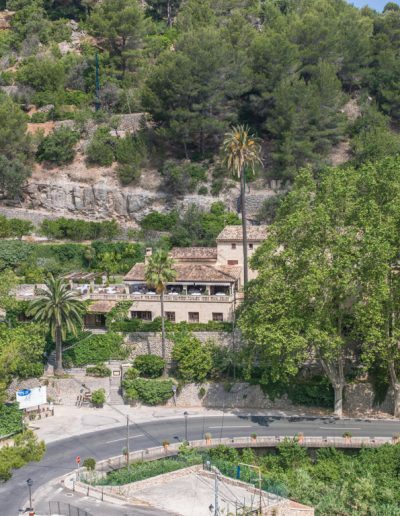 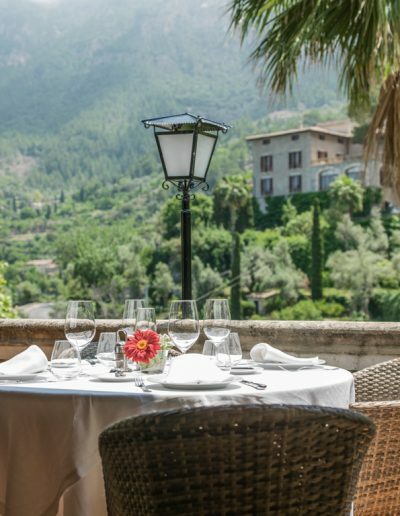 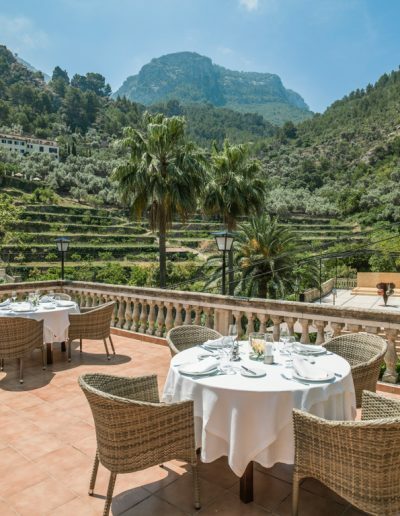 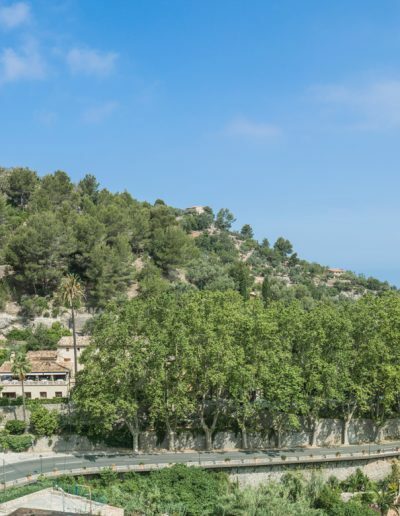 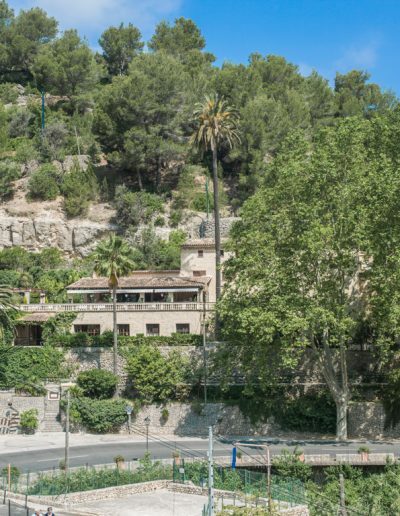 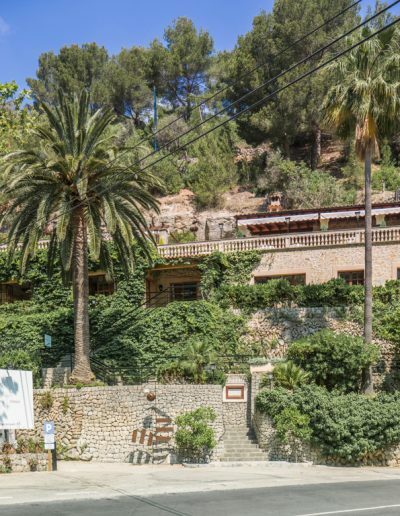 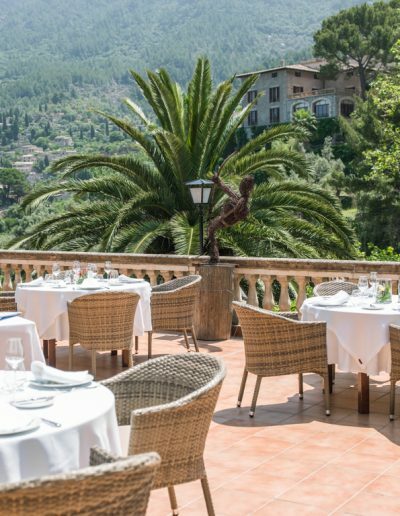 Located in Deià, the most iconic village in Majorca’s Sierra de la Tramuntana, Can Quet is a traditional meeting point for artists, writers, painters, sculptors and musicians who have all left their mark on local history over recent decades. 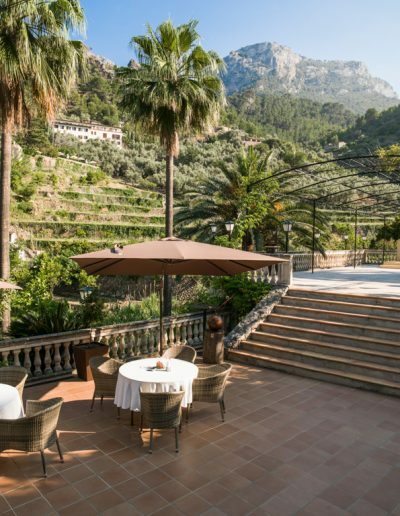 We have several terraces and a garden with stunning views, interior spaces plus plenty of parking for cars and 2 coaches. 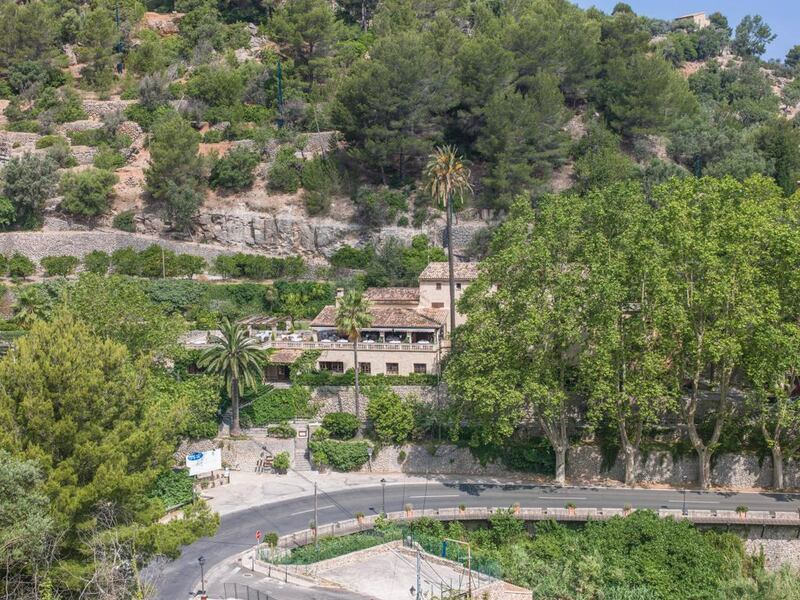 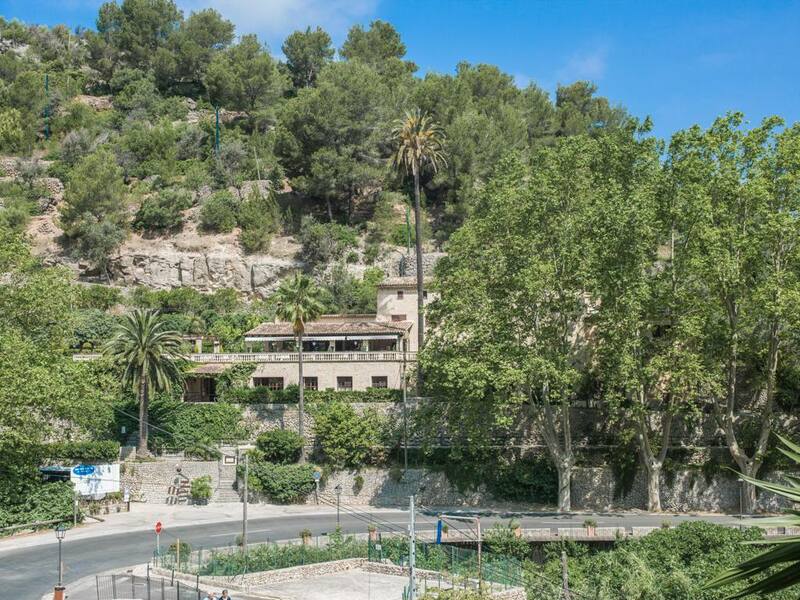 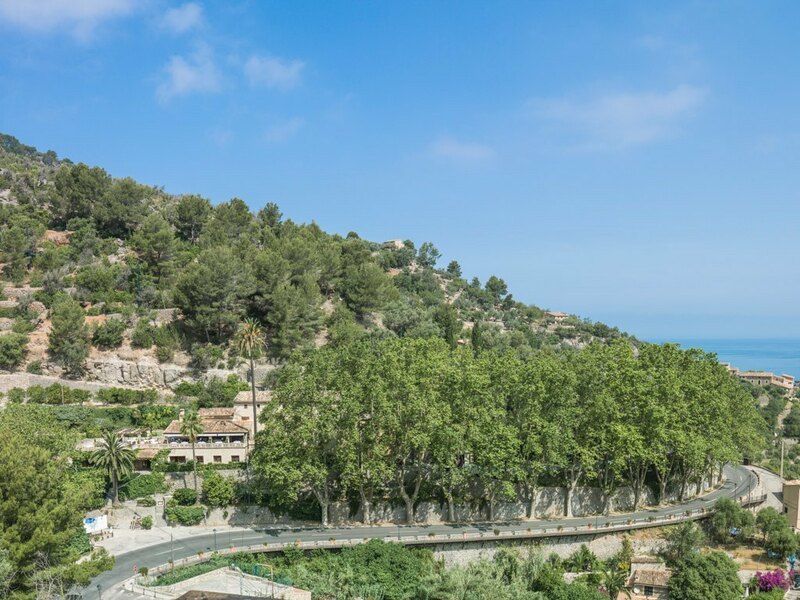 You will find Can Quet in the middle of the Tramuntana mountain range, when entering the town of Deià. 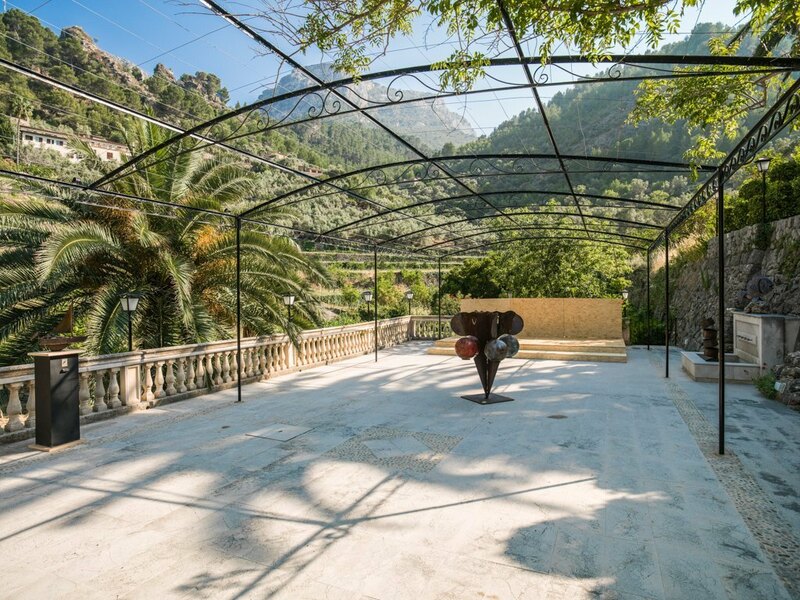 It does not only want to be a place where you can enjoy the tranquil landscape, and nature, as well as the best grilled cuisine; it also wants to be your art, culture and entertainment area. 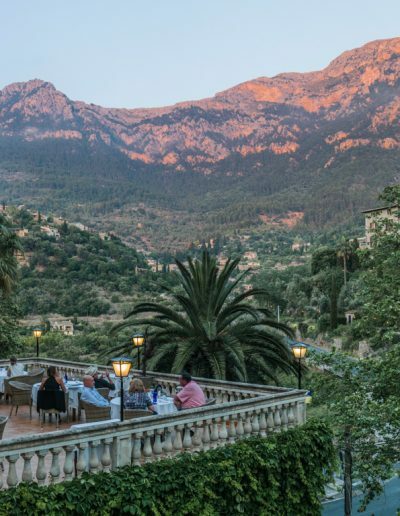 Discover our calendar with top-rate live concerts, from Tango to Jazz. 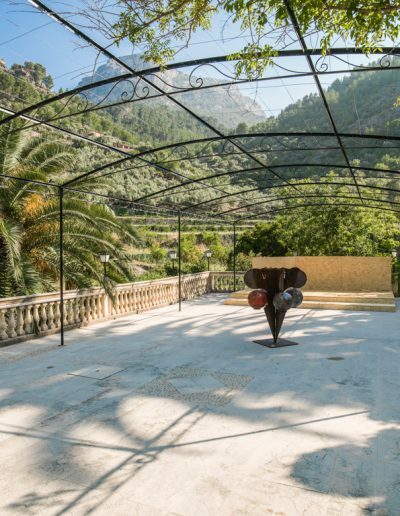 Come see the sculpture exhibits on our terraces, and the Tramuntana photographies of the award-winning photographer Marcos Molina. 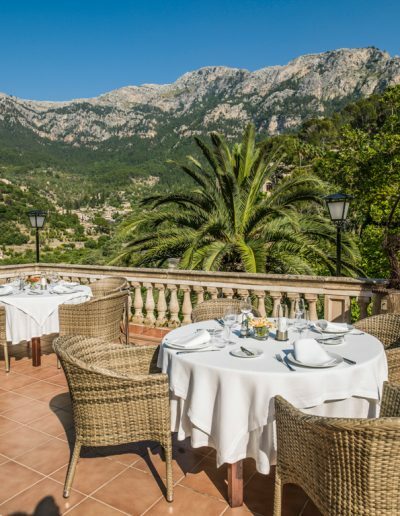 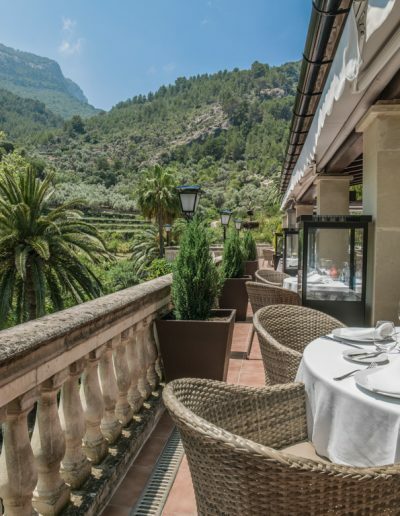 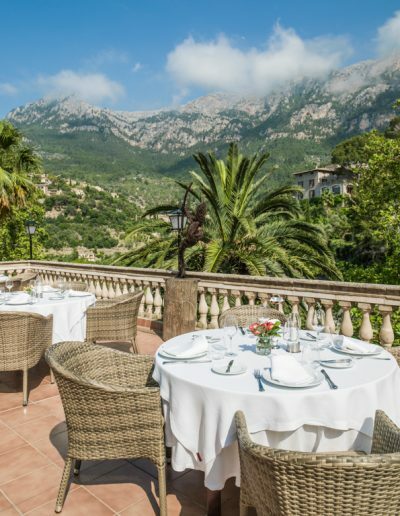 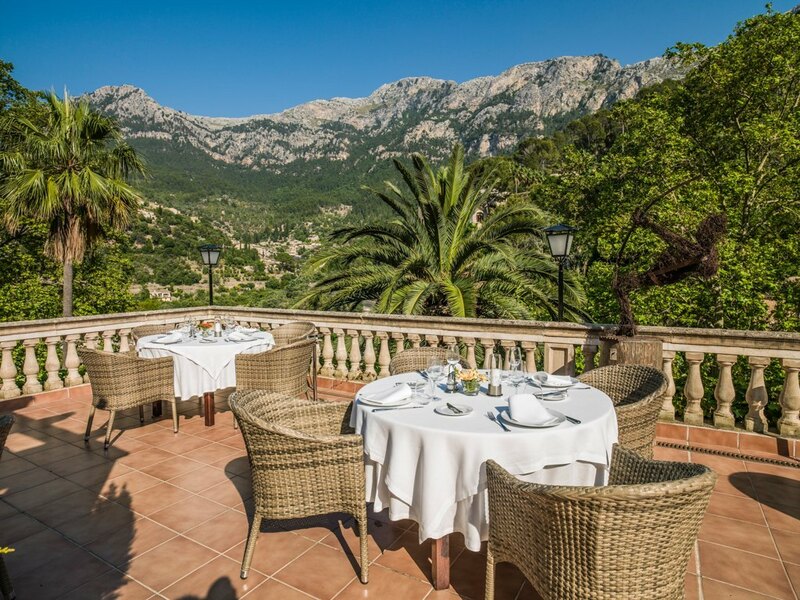 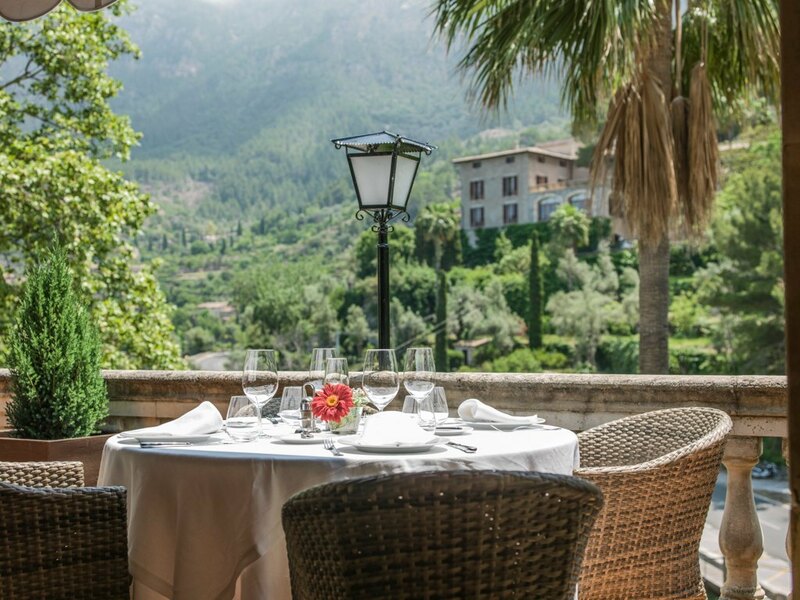 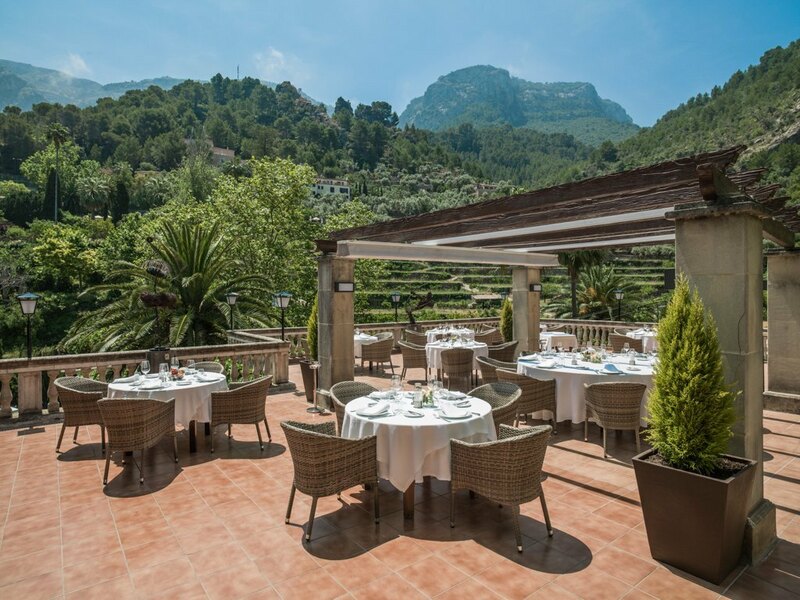 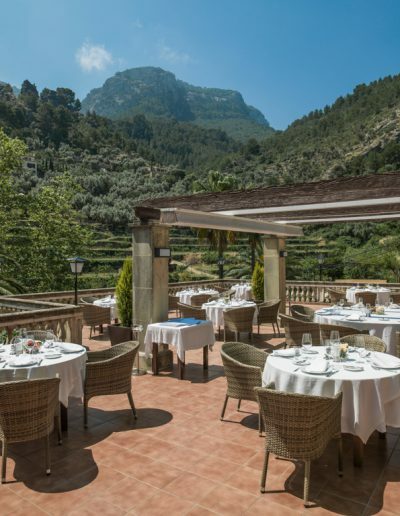 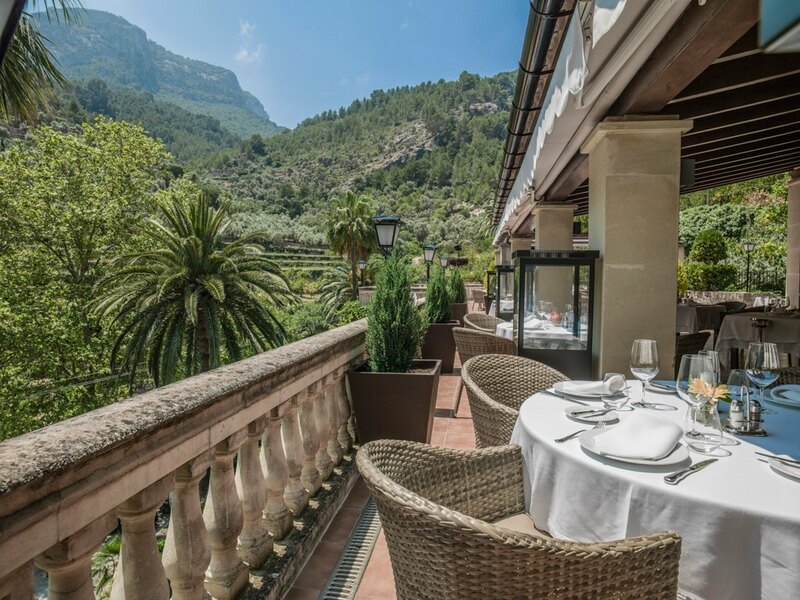 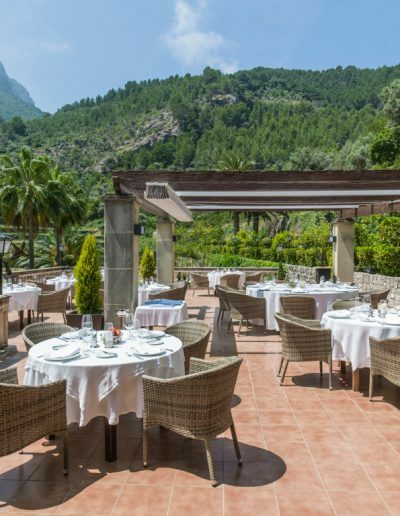 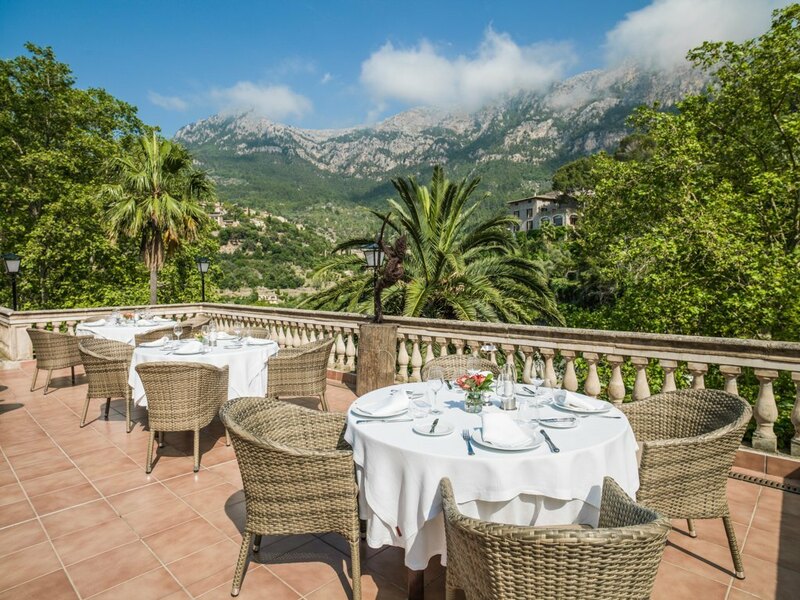 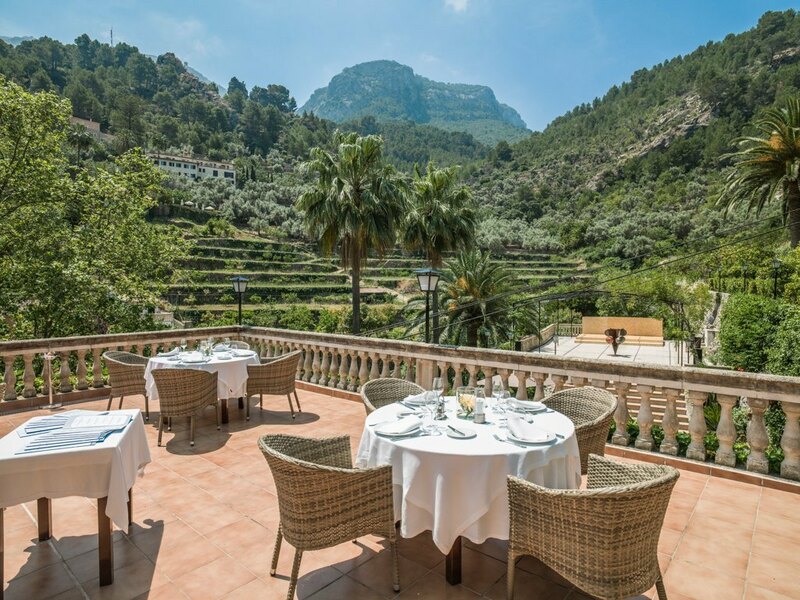 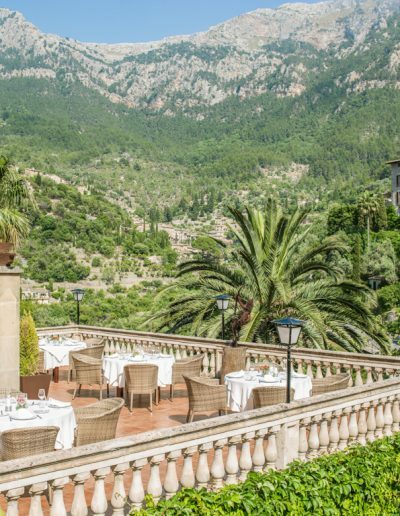 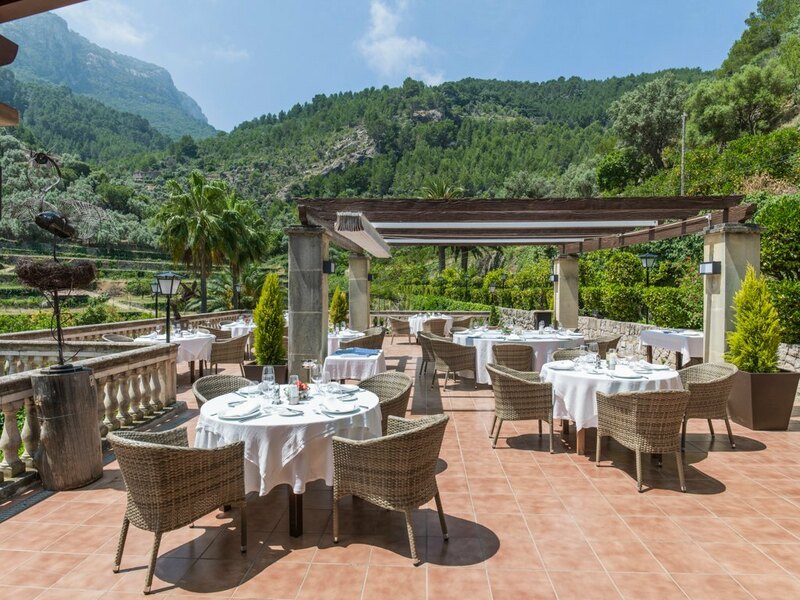 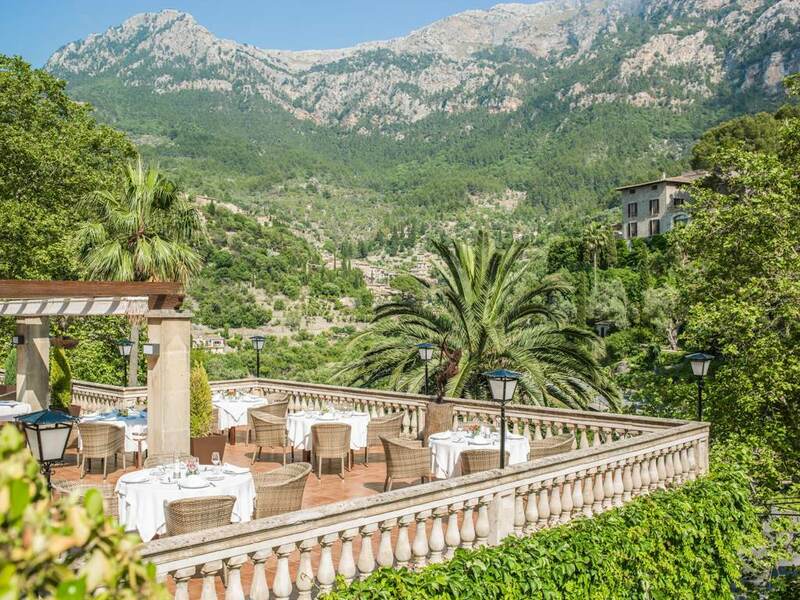 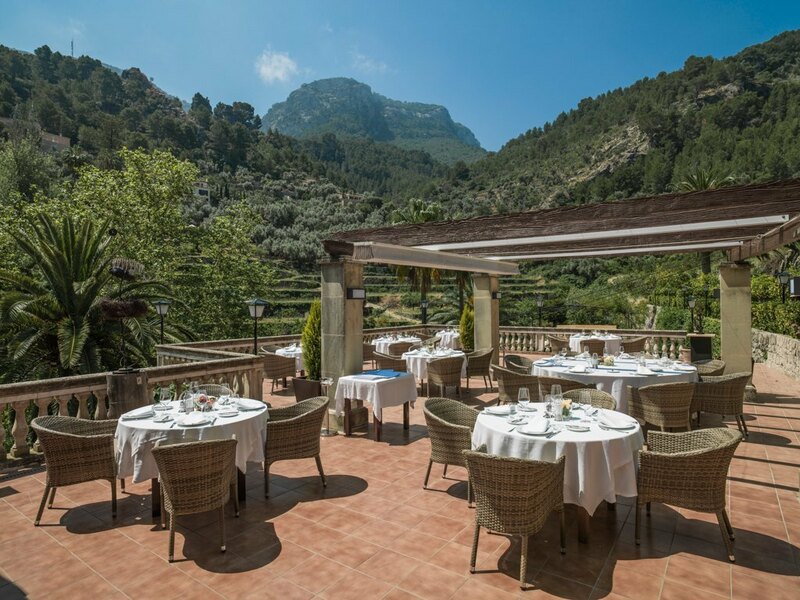 Spend a great time with your friends and then enjoy a delicious dinner in the Tramuntana mountain range. 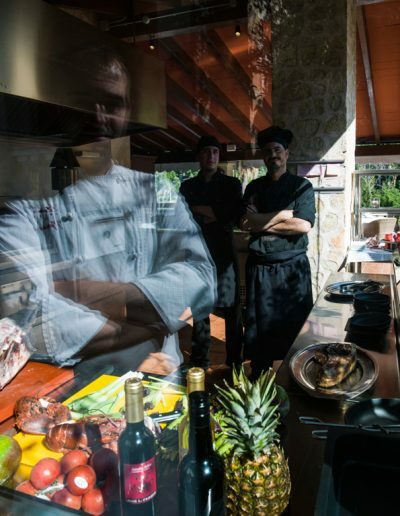 If you book a reservation by calling us 971 639 196 during our opening hours*, we will confirm right away. 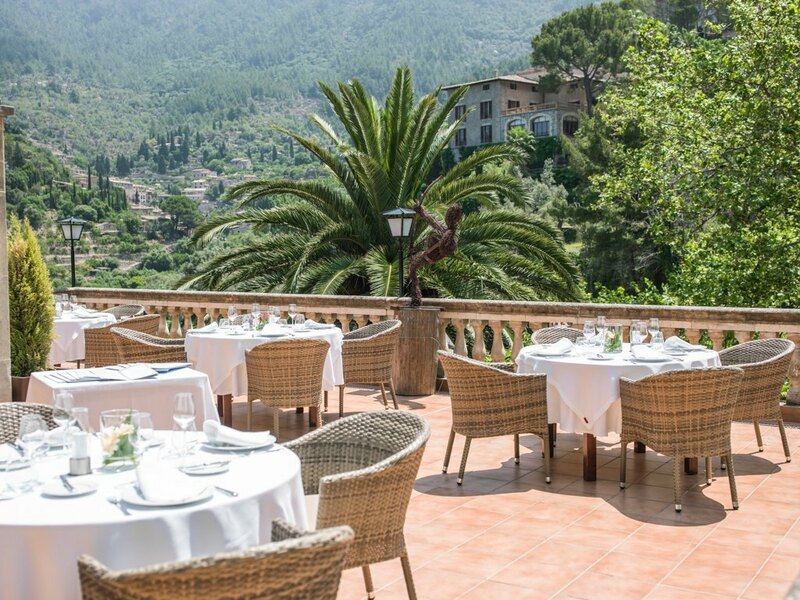 If you do it through our email address info@restaurantecanquet.com or by filling in the reservations form, we will answer in less than 24 hours. 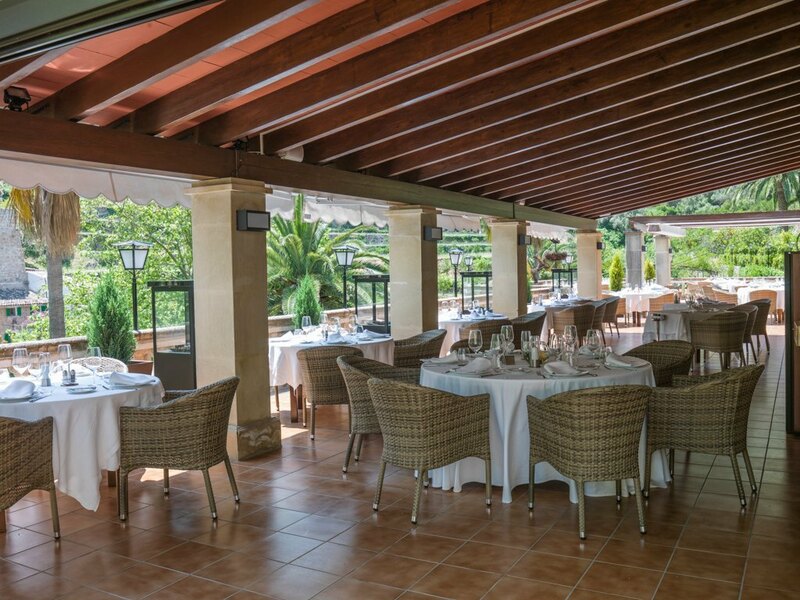 You can also visit us without a reservation, there will usually be no problem for us to accommodate you. 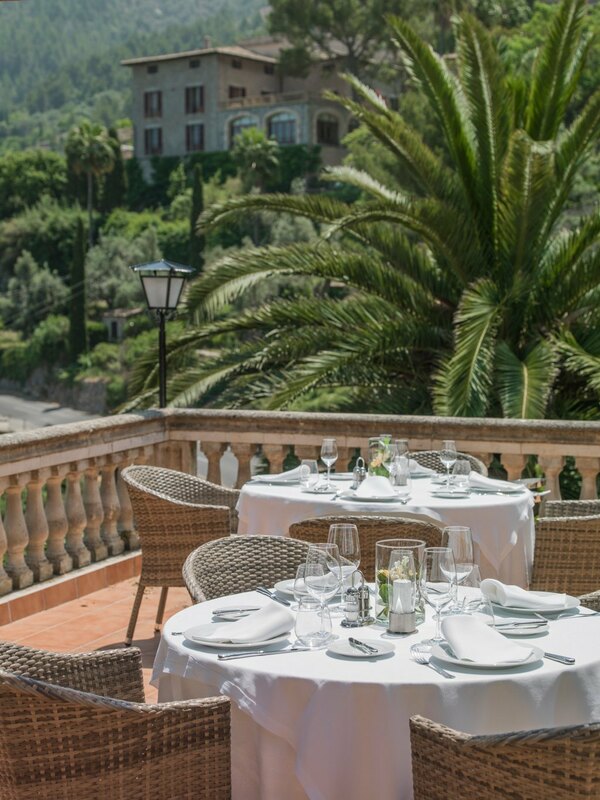 However, we recommend booking in advance to be sure. 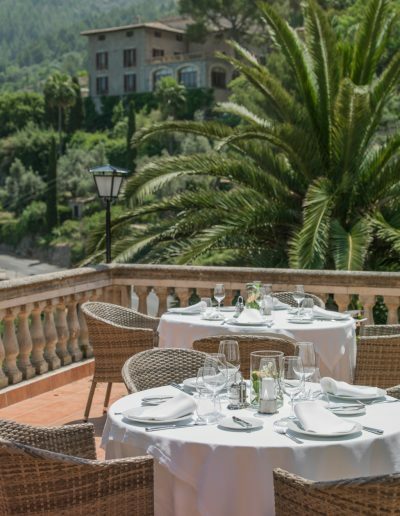 Yes No I want to subscribe to the Can Quet Restaurant Newsletter. 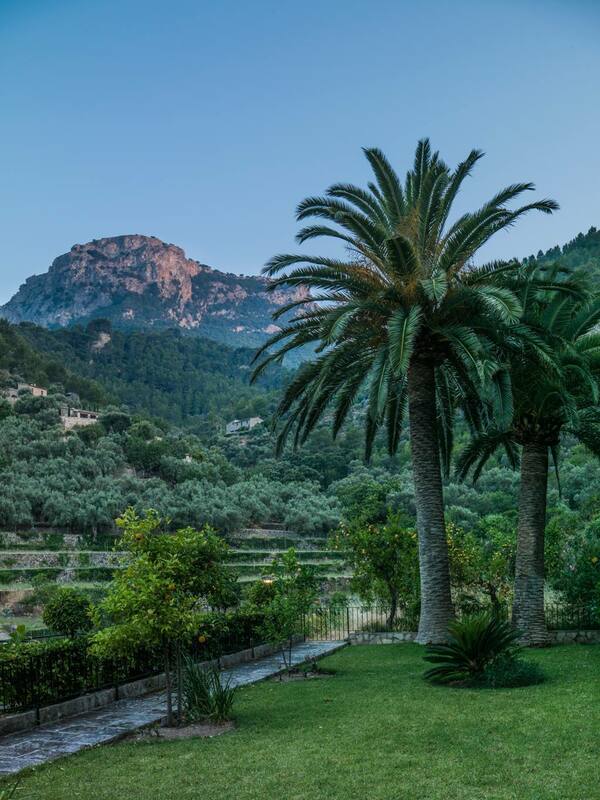 Use this form to inform us, advise us, provide an opinion or to place a request. 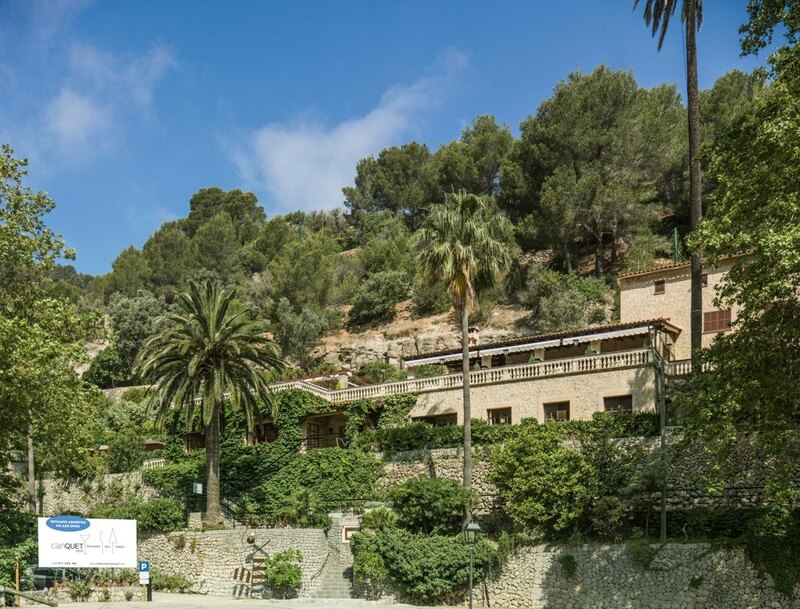 Here are all our contact details in case you prefer to do it by any other means.